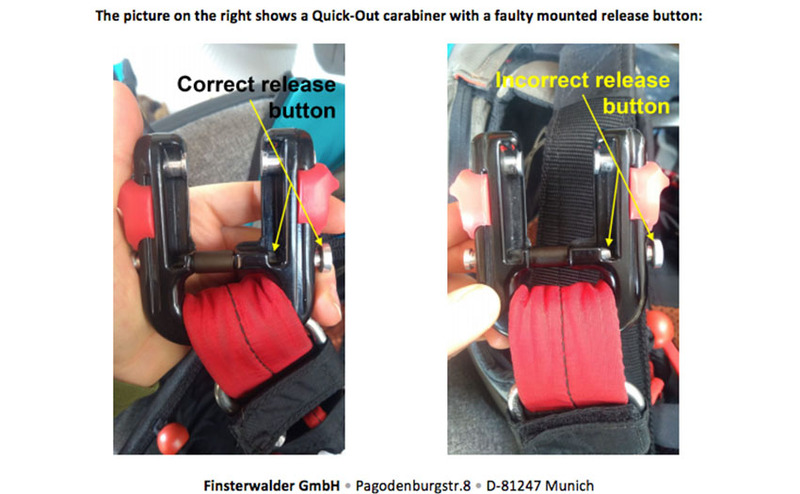 Finsterwalder & Charly have issued a safety notice for their Quick-Out carabiners. They say that a batch of about 20 carabiners produced in January 2015 were produced incorrectly, and that “at least one” was put into circulation. There is a danger of these rogue Quick-Outs triggering if only one of the release buttons is pressed. Normally pilots must press two buttons at the same time to release the Quick-Out. Quick-Outs are often used by tandem pilots and acro pilots, where they may want to get rid of the main wing quickly. 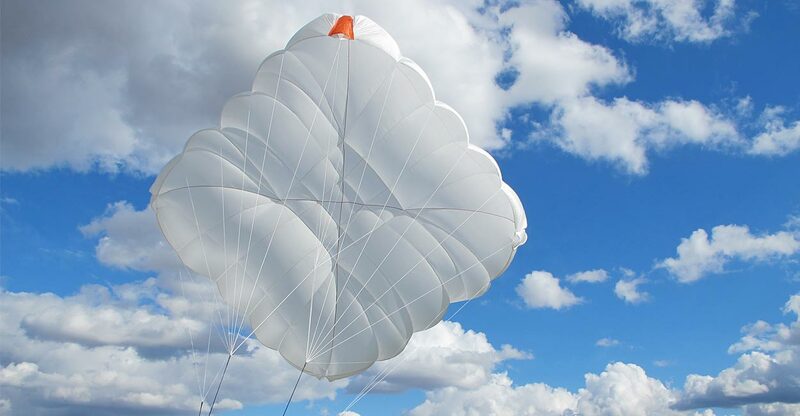 For example, in case of a high wind landing situation. “When setting up the production of the Quick-Out release buttons in January 2015, about 20 release buttons of one side were produced incorrectly. Some of these release buttons were accidentally mounted and at least one such faulty Quick-Out carabiner was put into circulation. “The error eliminates one of the 4 security levels: To open the carabiner, it is sufficient to press only the correct release button instead of pressing both release buttons simultaneously. 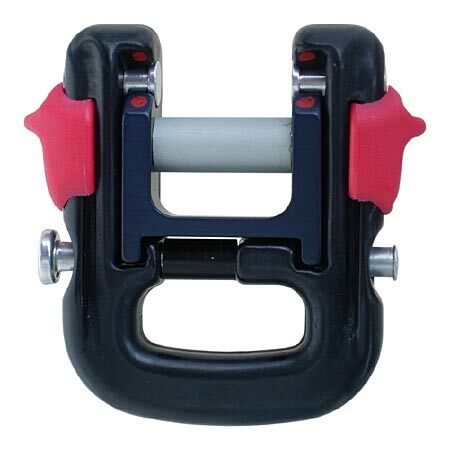 “At the final inspection, every single Quick-Out carabiner undergoes a load test of 2,000 DaN. However, the error was not noticeable, since the stress test is also passed with only one release button intact. “If the Quick-Out is operated in accordance with the current version of our operating instructions, which are available for download on our homepage, the error will be noticed immediately. “There it is described that the insert of the Quick-Out must click into place by strongly pressing it down (without pressing the release buttons simultaneously). A faulty release button prevents this. “We urge all Quick-Out users to check the carabiners before the next use. Finsterwalder & Charly have brought back their heatable neoprene speedbar fairings for hang glider pilots.